WAL: how much sugar is in the drinks we have. I predict Water will have the least sugar. 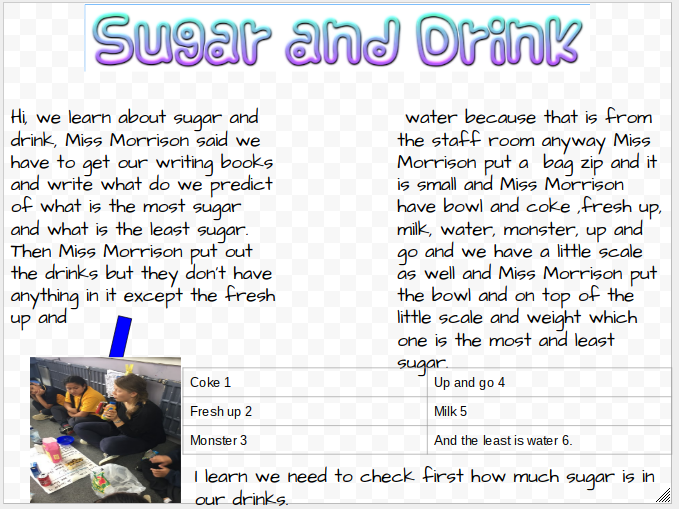 I have learned we need to check first how much sugar is in our drinks.